New Year resolutions are damnable things. Mostly they are social media worthy which means it involves all things supercilious bedecked in the paraphernalia of the profound. Folks are always resolving to eat healthy, stop and smell the farts roses, go with the flow, get away from the rat race, travel and see the world, quit smoking, tweet less, smile more, pay it forward, help the needy, and make the world a better place. Needless to say these resolutions are burdensome creatures and make you feel like Frodo Baggins crushed and overwhelmed under the onerous weight of the One Ring. Which probably explains why most of us feel a pressing obligation to break them as quickly as we can so that we can go back to being flawed human beings who are conceited and callous enough not to care about self – improvement or improving the lot of the less fortunate. The problem is we are making resolutions to do things we have been taught to think we ought to be doing instead of the things we really want to do. Which is why we end up like those god-awful souls who judge us when we order a double chocolate chip cookie milkshake with whipped cream and ice cream to go with the garden salad with the add - on meat and insist on viewing entire areas of a perfectly decent life as inadequate. Why not simply admit that ‘I’m not okay, you’re not okay and that’s okay!’? I first heard that in the Ben Stiller, Vince Vaughn classic, Dodgeball and that is not at all an embarrassing thing to admit because I am owning it now see? Perhaps your New Year resolution made just in time for Pongal ought to be not to make any, except that would qualify as a bona – fide resolution so what now? I know exactly what I will be doing. Now that I have made the word count for my column, I am just going to drop the whole thing and go grab a cupcake. Then I’ll probably stay up all night wondering what it is that Twinkle Khanna has and I don’t which ensures that she manages astronomical sales figures for her yarns on pads, Prasad and pyjamas while looking so damn good. This article originally appeared in The Sunday Standard. The other day, somebody clicked a pic of me and to my horror, I heard myself shrieking, ‘Don’t make me look fat!’ As somebody who has battled fat shaming all her life (a potbellied music instructor used to call me fatty boomalatty) and insists that as long as you are fit, the f in fat, stands for fabulous, it was hard to acknowledge that despite my politically correct fundas it is important for me to be magically photographed into looking thinner than I am. Strangely enough, though the voice of reason in my head upbraids me for having become a narcissist who doctors her image for a handful of followers on Facebook , Instagram and Twitter, the fact is my secret obsession with how I look online, (despite being someone whose idea of dressing up is losing the pyjamas for jeans) seems to be everyone else’s as well. After all everybody loathes pics that make them look groggy, grotesquely constipated, gross or anything less than immaculately perfect. In fact for too many it could be a life ruining issue! The fact that this narcissism has wriggled its way into our admittedly vain and vacuous lifestyles is hardly surprising given the fact that we are bombarded by flawlessly captured selfies of folks, airbrushed and meticulously tweaked to make them look social media worthy. New mummies have never looked yummier, gym rats look smoking hot as opposed to sweaty while pumping iron, and even all those home bakers with their divine sugary creations look impossibly skinny, glossy and good enough to eat! Which means the pressure to glam up is mounting and we worry more than we should about whether our butts look big, if our greys or pimples are showing, or if there is tell-tale evidence of sleepless nights or signs of ageing. Heaven forbid! In extreme cases, people risk or actually lose their lives while trying to click that perfect selfie which just might go viral and give them their five seconds. The rest of us wind up devoting time and money we can’t afford to spare on looking good despite knowing it might be better to shift the focus to simply feeling good. Such excessive love of the self far from being satisfying is strangely depressing. How many of us have noticed that fun occasions like family weddings, parties or vacationing with friends feel flat because everybody is too keen on capturing the awesomeness of the moment instead of actually living it? Too many wind up missing out on stuff because of the unholy devotion to perpetual preening, posing and posting that gives the impression that one is having a rollicking time, though the reality of it is usually different. Handwringing about virtual vanity aside, the incessant dolling up of digital avatars makes it seem as if everybody’s life is better than our mundane ones which has led to all of us moping about with a wicked case of envy and dissatisfaction. No wonder people smile only for the camera and not for real. And even worse, not even this impassioned piece is going to stop me from sucking in my gut when I pose for a pic. Help! This post originally appeared in The Sunday Standard. Pulitzer Prize - shortlisted Deborah Baker’s ‘The Last Englishmen: Love, War and the End of Empire’ is a sprawling biographical saga that is a post – mortem of the last days of the British Empire in India. The author narrates the stories of pioneering geologist, John Auden and surveyor, Michael Spender who was the first to draw a detailed map of the north face of Everest, using his skills in photogrammetry. Both men, in addition to having famous poet brothers in W.H. Auden and Stephen Spender, vied for the hand of the same woman, Nancy Sharp, the English painter and sought to be included in an Everest expedition which had become “…an issue of National and Imperial importance” with diehards of colonialism seeing it as a means to reassert and consolidate their power over India. In a surprising move, Baker is not content to chart their lives and measure the successes of these two extraordinary men, though she does do that while opting to shift focus without warning to a dizzying array of colourful characters, who are an eclectic mix of writers, artists, freedom fighters, politicians, communists and even double agents all of whom made their own mark on history and left valuable impressions behind of the cultural, political and moral landscape of a crumbling empire. Louis MacNeice (who interestingly carried a torch for the redoubtable Nancy Sharp as well) invited to cover the Partition with a view of writing a series of radio plays for BBC, Christopher Isherwood who co – wrote a play with W.H. Auden entitled, ‘The Ascent of F6’about a climber who mounts an expedition to Everest and battles the elements as well as rival nations in a race to the peak, Michael John Carritt, Indian Civil Service Officer and communist sympathizer, and Sudhin Datta, a Bengali intellectual who founded a literary journal, ‘Parichay’ and was deeply conflicted by his love of English literature and hatred of heavy – handed imperialists, sashay into the narrative at will. Their stories have mixed results in that they do shed light on a veritable avalanche of complex historical facts which manage to occasionally engage the reader while also leaving him or her disconcerted with the sheer density of information conveyed detachedly in opaque prose and a penchant for dogged descriptiveness that is not always flavoursome enough to be savoured. The frequent meandering detours and a surfeit of material crammed into an overcrowded stage with too much happening at all levels can be most vexing. Oftentimes, the process of perusing this excellent material feels as laborious and cumbersome as scaling an unforgiving peak under extremely unfavourable conditions which makes one want to give up in abject despair. However, in the unlikely event that the modern reader afflicted with ADHD manages to persist, the rewards are not entirely non – existent. Baker is determined to perform a delicate balancing act between the opposing viewpoints of the conqueror and conquered and is even-handed to the point of being exasperating. However her unflinching portrayal of the likes of Winston Churchill who felt the Indians were a ‘foul race’ that ‘breed like rabbits’ and needed to be bombed into submission if necessary as well as her exposure of his role in the Bengal famine strip away the glittering façade of the so – called ‘greatest Briton ever’ and reveal him to be the unabashed racist and white supremacist he most certainly was. The chequered career of Huseyn Shaheed Suhrawardy, the ‘Butcher of Bengal’ and fifth prime minister of Pakistan, particularly his interaction with Gandhi makes for interesting reading. 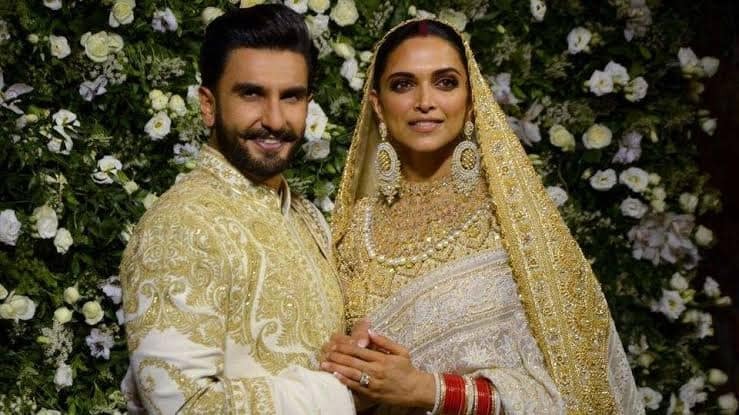 Some of the most harrowing portions of the book are Baker’s final chapters, reconstructing the terrible Bengal famine and the communal riots during the partition. Her decision not to make it unduly melodramatic but rather keep it simple and clinical even, succeeds in making the horror all the more stomach turning. If only Baker had managed to hit her stride sooner! 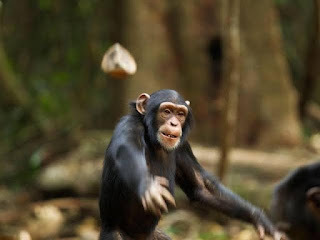 We humans consider ourselves evolved beings, however, I have a sneaking suspicion that at heart, we are little more than the Apes (no offense intended to that noble species) we descended from especially since on any given day we are one bad judgement away from hurling poop at each other. 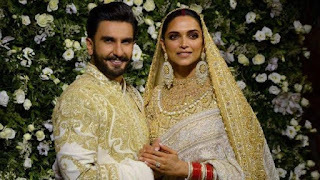 If you are inclined to laugh, scoff or return to your fuzzy YouTube video of candid moments from the #DeepVeer wedding, I urge you to give me a chance to explain. After all, the impending crisis is a real one, and it makes sense to figure out how best to avert it under my expert tutelage. For otherwise the threat may snowball out of all control and culminate with people throwing poop or worse, bombs at each other (for the selfie – obsessed, I am not discussing photo bombs). Everybody has a short fuse nowadays. I know, because the other day folks shouted at me for cycling on the wrong side of the road (In my defence, I thought it was a shortcut). Some even wanted to know if I had informed my folks about my intention to die like a dog. Such meanies! But that was only the tip of the iceberg. On any given day, I am trolled and accused of being a gender traitor by feminists and am branded a feminazi by chauvinists. The left scolds me for being a ‘bhakt’ while the right threaten to have me arrested for being ‘anti – national’. It is almost as if I am incorrect about my own awesomeness! There are so many angry folks out there, you would think it is a fad that refuses to fade. Which means you get dry humped while standing in those slow – moving queues irrespective of whether it is at the airport, temple, theme park, or toilet. If you protest, you are certain to get a full blast of rudeness with a side of spittle. People get pissed off while you count out the correct change and make certain you know they think you are a moron because you don’t believe in the suspicious notion of a cash free society. You can’t even allow yourself to drown your sorrows in a triple scoop ice cream sundae because some wiseacre will stare judgementally at your ample waistline or lecture you about the evils of sugar. It is even worse, if you are a denizen of social media. Even if you are the sort of person who posts nothing but cute pics of pups and bunnies, it is only a matter of time before you manage to give offense to the army of social justice warriors out there who live to get outraged at the moral discrepancies of others (if not their own). That is enough, of that! It is time to break away from the herd, now that it is a raging mob and embrace the contrarian within. If everybody has an informed opinion and is frothing at the mouth over it, be the one who refuses to get drawn into a fight. So what is everyone if shouting at the top of their lungs? You can maintain a dignified silence till civility is restored. So what if the entire species is reduced to mush-brained junkies glued to their phones? Read a book instead or go for a walk. Soon your sanity will spread like a contagion and more and more people will throw in their lot with you, till we have a new and improved herd! All that remains is for you dear reader to go forth and spread the pearls of my wisdom so none of us have to worry about aggressive primates pelting us with poop. Or worse. I really really loved Petta. And it has been too long since I said this about a Rajni film. As a lapsed Rajni fan (when even a superstar of Rajni's caliber acts in one Shankar film too many it happens), it was nice to go right back to the Annamalai, Baasha phase when I was a proper Rajni fanatic. Guess, you have to be that person to truly appreciate Petta. The first half was absolutely rocking and I love how 'Marana mass' it was. Not since Dhil, Dhool and Ghilli has a Tamil filmmaker made such a sumptuous, masala feast of a film. So kudos to Karthik Subbaraj for that. 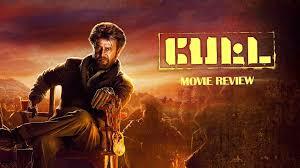 In the theatre where I was watching Petta, we were all infected with Rajni fever and were cheering, screaming ourselves hoarse for every single scene. It was such an amazing cinematic experience and an incredibly special one. Rajni is one actor who has always made me laugh and cry along with his characters and this time was no exception. 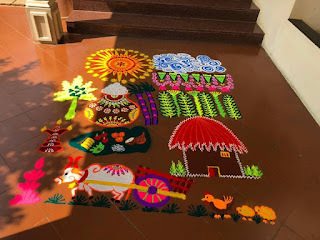 I became completely nuts about Kaali (Petta Velan). Bless you Karthik Subbaraj for giving us this vintage version of Thalaivar. I find it so annoying when people go on and on about his style which is dazzling of course, and forget that the man is one of the greatest actors of all time. I don't think there is an actor who is as sublimely effervescent and effective as he is in any film industry. Examine just about any scene in Petta and you will see what I mean. The second half worked very well for me but on a different level. It was great to see Subbaraj's unique little quirks, eccentricities and flair on full display. There is a funeral scene which was insanely good, strangely moving and deliriously wicked as well! Loved every scene with Rajini and the terrific VJS. I thought Nawazuddin did a fantastic job as well and was a really intriguing character. What a treat it is to see Rajni cross swords with behemoths like VJS and Nawazuddin, chew them up and spit em out! In retrospect, the editing could have been tighter but with Rajni in such amazing form, we fans aren't complaining. Hope he does more films like this! I am on such a Petta high and can hardly wait to watch the film again and again. And again. PS: Did I mention that I really really loved Petta?